Halloween 2018 marks the 10-year anniversary of the foundations of bitcoin, the world’s first cryptocurrency, an asset that can fairly claim to have altered perceptions of what can truly be considered an asset in financial markets. 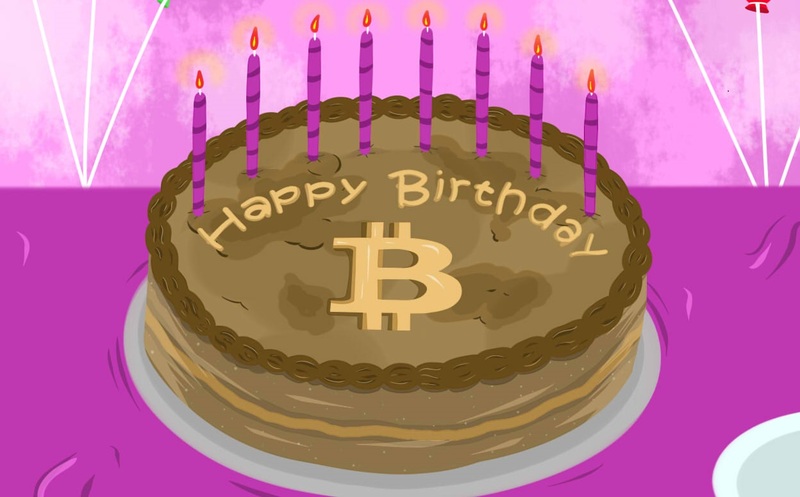 A decade ago today, bitcoin’s mysterious founder Satoshi Nakamoto published a nine-page long academic style paper called “Bitcoin: A Peer-to-Peer Electronic Cash System.” The paper would go on to act as the founding text for the cryptocurrency, and lead to the first bitcoin transactions being carried out in early 2009. It’s impossible to say how much bitcoin has increased in price single its earliest incarnation, because its value back then was in the fractions of cents. A conservative estimate, based on bitcoin’s current price being around $6,300 per coin, and its early price being less than $0.01, would see bitcoin’s value increasing more than 1 million fold in the last decade. The first bitcoin transactions were carried out in private, so no one really knows when or how numerous they were, but the first trade is believed to have been between Nakamoto and developer Hal Finney. Many have speculated that Finney, who died in 2014, may actually have been Satoshi. It was May 22, when the purchase of the two Papa John’s pizzas by Laszlo Hanyecz from another bitcoin enthusiast marked what is believed to be the first “real-world” bitcoin transaction. Hanyecz traded 10,000 bitcoins for two large Papa John’s pizzas, a sale now worth around $63 million. Bitcoin’s journey continued slowly at first, but it hit the mainstream in 2013 after the first of several hyperinflation incidents occurred in the currency. In late 2013, the cryptocurrency spike in value from around $100 per coin to $1,000 in just over a month, before halving in value over the next three or four months. Bitcoin would not hit $1,000 again until 2017. For the next three years, bitcoin stayed in a range of around $400 — never trading above $650 or much below $250. The most notable event during that time was the collapse of Mt Gox, the first ever exchange, which filed for bankruptcy protection after hackers stole nearly $500 million of bitcoin, and a further $30 million of cash deposits. The hack, still the largest ever in the crypto space, exposed massive security flaws, and exacerbated bitcoin’s reputation as a Wild West asset with little to no financial protection for its users. The history of bitcoin prices from 2013 onwards. After three years of relative calm, bitcoin truly hit the mainstream in 2017, a year which saw the cryptocurrency increase in value from around $1,000 per coin to almost $20,000 per coin in a matter of months. 2017 also saw the first major public efforts from financial institutions to get involved in cryptocurrencies, with two US exchanges, the CME and Cboe, creating platforms for customers to trade bitcoin futures. Numerous major banks also announced projects involving crypto, which helped fuel the rapidly expanding bubble in bitcoin’s price. That bubble began to burst just before Christmas — only a couple of weeks after futures were launched — and by the end of January 2018, bitcoin had fallen from around $20,000 per coin to just $10,000. The falls were driven in part by rising fears that regulators planned to crack down on the cryptocurrency, which had largely operated outside the auspices of normal regulators until that point. Bitcoin continued to decline during early 2018, before eventually stabilizing at around $7,000 per coin. It has remained in the $6,000 to $7,000 range since June, and the volatility that characterised the market in 2017 and early 2018 has all but evaporated. On its 10-year anniversary, bitcoin is trading at $6,305 per coin. While it has now well and truly entered the mainstream consciousness, there are still concerns that it has longevity, and could ultimately fail. Even Wences Casares, widely known as bitcoin’s “Patient Zero” for his role in spurring interest in crypto in Silicon Valley, expressed worries about its future.